This educational program is intended for EMERGENCY MEDICAL TECHNICIANS (EMT'S) AND PARAMEDICS who intend on AUDITING the course. This ticket is for EMT or Paramedics only who agree to audit this course free of charge and in exchange agree to be an active participant 'actor' during the skills testing portion of the class on day 2. Ticket purchasers agree to be fully moulaged and understand that Texas Children's is not responsible for soiled or damaged clothing. Injury is the leading cause of mortality in persons less than 40 years of age. Thirty million injuries requires medical attention each year and approximately four million require hospitalization. As many as 300,000 individuals are permanently disabled each year as a result of trauma. About one-third of the total U.S. health care expenditure is used in the care of this patient population. Efforts directed at resuscitation and early care of injured patients can decrease morbidity and mortality in these patients. The core curriculum of the ATLS course strives to impact the knowledge and skills necessary to care for injured patients in the early post-injury period. This activity will consist of hands-on skills sessions in simulated trauma settings. 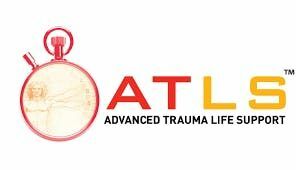 It teaches the medical core content of ATLS in an interactive format. The American College of Surgeons designates this live activity for a maximum of 19.0 AMA PRA Category 1 Credit(s)™. For Refreshers, the American College of Surgeons designates this live activity for a maximum of 5.0 AMA PRA Category 1 Credit(s) ™. Physicians should claim only the credit commensurate with the extent of their participation in the activity. This educational activity may contain discussion of published and/or investigational uses of agents that are not indicated by the FDA. The opinions expressed in the educational activity are those of the faculty. Please refer to the official prescribing information for each product for discussion of approved indications, contraindications, and warnings. Further, attendees/participants should appraise the information presented critically and are encouraged to consults appropriate resources for any product or device mentioned in this program. In order to receive credit for the course, you must attend the entire course, demonstrate knowledge and proficiency in all the Cognitive and Skills performance evaluations, and successful completion of the written exam. Additionally, your performance at the Initial Assessment Testing Station serves as a final practical testing and is a culmination of all the knowledge and skills taught during the course.